to receive free notifications on upcoming meetings, committee votes, and legislation referrals for the Senate Game & Fisheries committee or any other committee. An Act amending Titles 30 (Fish) and 34 (Game) of the Pennsylvania Consolidated Statutes, in fishing licenses, further providing for disabled veterans and former prisoners of war and for exemptions from license requirements; and, in hunting and furtaking licenses, further providing for eligibility for license, for resident license and fee exemptions and for license costs and fees; and making editorial changes. An Act amending Title 34 (Game) of the Pennsylvania Consolidated Statutes, in enforcement, further providing for jurisdiction and penalties; and, in game or wildlife protection, further providing for the offense of unlawful taking and possession of protected birds and for endangered or threatened species. 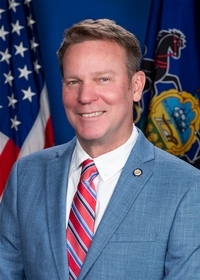 An Act amending Title 30 (Fish) of the Pennsylvania Consolidated Statutes, in fishing licenses, further providing for exemptions from license requirements. 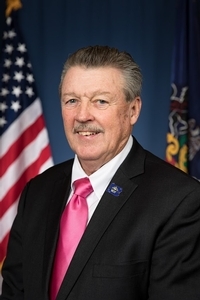 An Act amending Title 34 (Game) of the Pennsylvania Consolidated Statutes, in hunting and furtaking licenses, further providing for authorized license-issuing agents. An Act amending Title 34 (Game) of the Pennsylvania Consolidated Statutes, in Pennsylvania Game Commission, further providing for powers and duties of commission and for accountability; and, in hunting and furtaking licenses, further providing for license costs and fees and making an editorial change.